These developments in banking and electronic payment systems have occasioned the need to have sharper controls for the banks along with increased customer’s responsibilities to safeguard their assets. 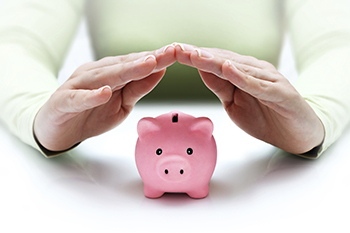 Below are four proven strategies that reduce the risk exposure of your banked assets. Over the years, banking has evolved from a conservative, secretive, controls driven and technology-averse trade, to a social, customer driven and solutions driven industry. Society is increasingly becoming cashless and banks are also catching up to meet customer’s preferences in a convenient, fast and safe manner. Initially, bank account holders could make payments conveniently using cheques. However, with advances in technology, payment systems have evolved into many branches such as the use of ‘plastic’ money, mobile banking, and internet banking. When making plastic money payments it is advisable to not to share confidential information such as your ATM PIN, card number or its expiry date with anyone whether on the phone or in person. Remember, the bank will never call to obtain such information from you. Handing over such information is comparable to giving your house keys to a stranger while being oblivious to the danger you expose to your loved ones. It is best to update your bank with your latest contact information so that the bankers can keep you updated on your account activities. Be on the look-out for unauthorized card usage as well as any changes performed on your account. By monitoring your account activities and card usage pattern you can establish convenient and workable transaction limits on your cards that would not only help you safeguard your money but also help you manage your expenditure. For Online and E-commerce Safety, keep your computer databases updated and use good antivirus software. This helps to secure your bank credentials thus provide a safe channel to make online payments. It is advisable to transact only with reputed online merchants on their official websites and not links usually circulated through fraudulent emails. Having strong passwords that are alphanumeric in form is a plus and avoid using common passwords such as your date of birth for your PIN or the word ‘password’ for your password. Always access and check your account transactions regularly. This can be done easily by reviewing your credit card or bank account statement regularly received from your bank. It is advisable to immediately report to your bank if you notice any unauthorized or disputed transactions. Fraudsters are persistent and innovative in their quest to access your account or credit card in order to swindle your monies away. Fortunately, banks have adopted technologies that help prevent such fraud. Customers too have to fulfill responsibilities and exercise prudence in their usage in order to achieve risk-free banking.